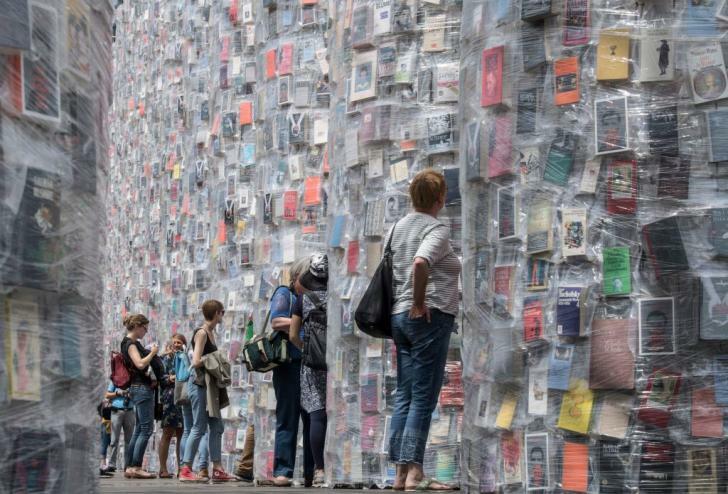 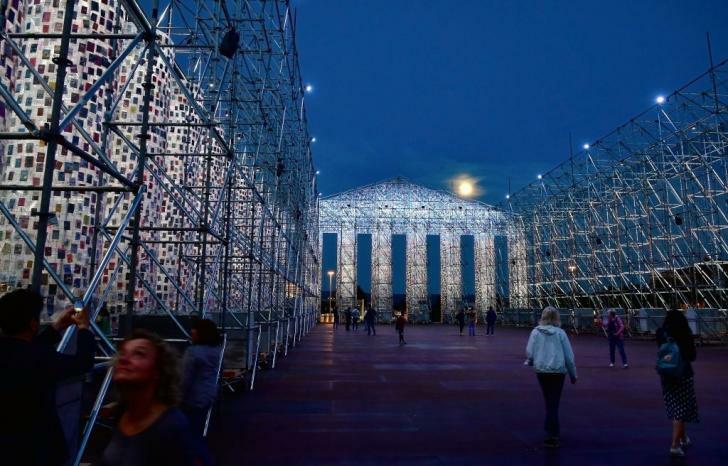 Kassel, Germany is now home to a Greek temple-inspired artwork that pays homage to free speech instead of the gods: As The Local Germany reports, the installation by conceptual artist Marta Minujín is built from 100,000 banned books, and is intended to challenge censorship both past and present. 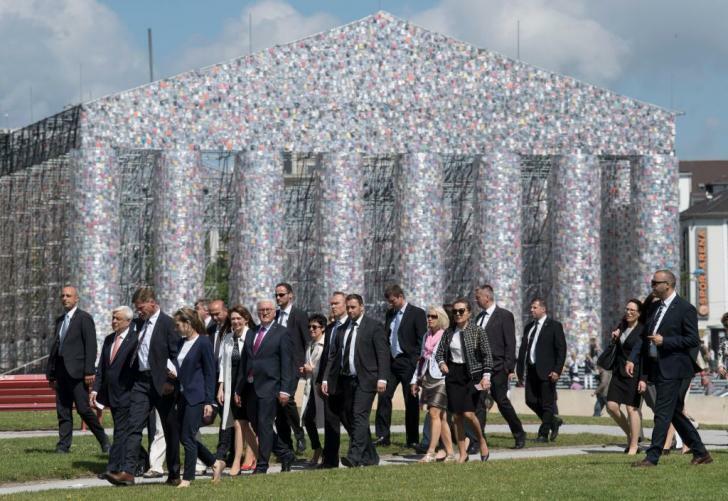 Built in the exact same dimensions as the real-life Parthenon, the structure's metal grill columns contains hundreds of titles, including the Bible, Salman Rushdie’s The Satanic Verses (1988), and Mark Twain’s The Adventures of Tom Sawyer (1876), each one wrapped in plastic to protect their pages from the elements. 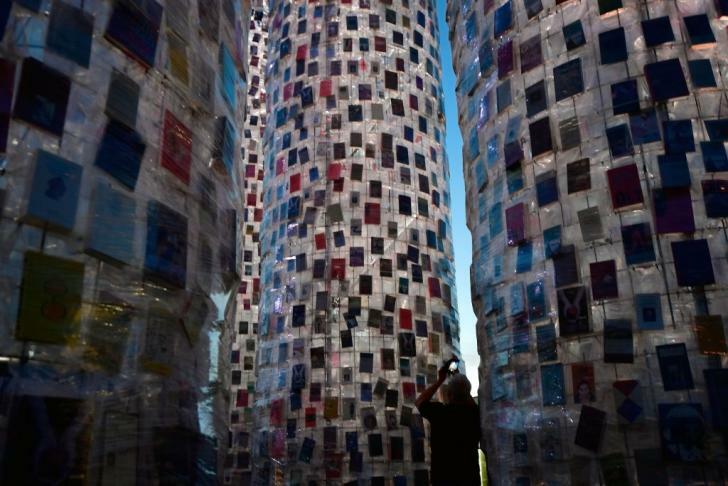 Lodged into place by volunteers on cranes, the works will be distributed to visitors once the artwork is dismantled. 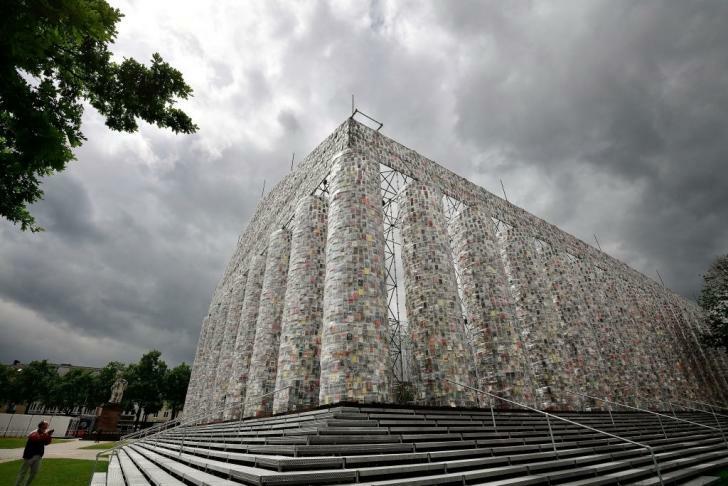 Check out some pictures of Minujín’s Parthenon of Books below.